The Byrdshave been credited with forging the link between the musical style's of Bob Dylan and The Beatles back in the 1960's. They can also claim to be one of the pioneers of folk rock and country rock, whilst retaining a pedigree in the sixties psychedelia scene. In 1969 they performed at the Fillmore West, the concert subsequently being released as an official album, and receiving good reviews and sales. 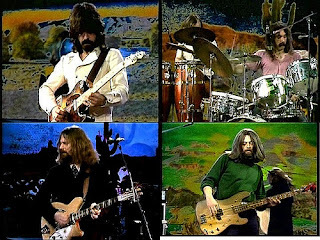 The following year (1970) the Byrds were touring and promoting that years 'Untitled' double album, (with the second half again being live). During the tour the band were legitimately recorded in Holland by Dutch radio organisation VPRO. This concert had a notably different set list than the Fillmore West concert. This then is The Byrds, Live Concertgebouw, Amsterdam (Holland) on July 7th, 1970. This is a pristine copy from the broadcast on the Dutch Radio 2 on August 10, 2006 by KRO, as direct from the original master tape - lets just say top quality.